Last week I did a piece on “A Collection Of Beatles Oldies But Goldies!” an official album release from 1966 that went mysteriously missing in the 80’s, never to be seen again. EMI and Apple would argue that there are better compilations around, and they are probably right but “Oldies But Goldies!” is still the only compilation released while The Beatles existed, sanctioned by all four as well as both producer George Martin and manager Brian Epstein. It is part of the lore and should be reinstated in the catalogue for all to enjoy, whether you’re a streamer, a down loader, a CD-dino or a vinyl junkie. What we do have is “1”, that marvellous collection of all The Beatles’ 27 number 1 singles in the UK and the US. First released in 2000, it went on to become the biggest album-seller of the decade worldwide. Some feat for a band that ceased to exist back in 1970. A remastered “1” was released in 2011. And now you will have to replace your copy yet again, that beast of a hits compilation is back, and it’s mean. Not only have George Martin’s son Giles and Sam Okell remixed all of the 24 stereo-recordings (the first three tracks are all in mono), lifting the sound quality to heights you never thought was possible. But there are videos too, loads of them. The standard edition contains a bonus DVD or (Blu-ray) with videos to each of the 27 songs. The deluxe-edition contains a second DVD (or Blu-ray) with a further 23 videos. Some of this material is new to these eyes, and all of the footage has been restored and cleaned up. The quality of the “Paperback Writer” video for instance is absolutely stunning. It could have been filmed yesterday. For those who prefer the vinyl version of “1”, the videos are not included, unfortunately. But at the time of writing, at least the 27-track DVD/Blu-ray can be bought separately. The vinyl-edition is a double, the first LP covering the years 1962-1966, the second covering phase two, 1967-1970. LP 1 is actually almost a restored “Oldies But Goldies!”. Like its predecessor from 1966, it’s got 16 tracks, 14 of them identical to both issues, but losing “Michelle” and “Bad Boy” for “Love Me Do” and “Eight Days A Week”, which is just as well. 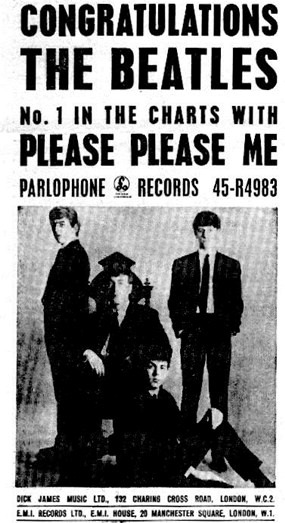 I still miss “Please Please Me”, though, The Beatles’ second single, and their first UK no. 1 everywhere (in BBC, New Musical Express and Melody Maker, to name the three biggest and most respected chart-providers at the time), except for in the very small and unreliable Record Retailer, which for different and not very convincing reasons has become the official UK chart for the 60’s. Anyway, “1” is a magnificent and extremely impressive journey through the most remarkable string of hits any single name has ever produced. These 27 songs represents an eight year long revolution that not only changed music and record production forever, but it also kick started and led the way through what we now call the 60’s. Fashion, literature, cinema, politics, journalism, philosophy, religion, comedy, it was all coloured and inspired by the sound, wit and life of The Beatles. They changed civilisation as we know it. All this music crammed into a tight eight year run. How was it humanly possible to achieve so much in such a short time? Today’s artists might release just two albums in eight years, and those two albums don’t even sound that different from one another. The Beatles’ complete output, 11 unique studio albums (one of them double), one soundtrack, one compilation, 22 singles (30 of these 44 recordings were not duplicated on any regular album), and two unique EP’s, was released between October 1962 and May 1970, and almost every single song was a unique work of (pop)art. The Beatles never repeated themselves. And it’s not just the music itself; The Beatles were scientists in the recording studio, inventing the future with medieval tools. 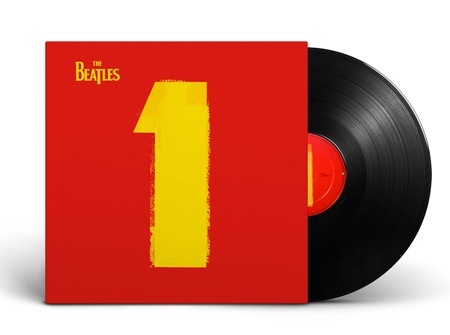 Even if you already have all their albums, especially the re-mastered sets that were launched in 2009 (CD), 2012 (vinyl stereo) and 2014 (vinyl mono), I am afraid you need the new version of “1”. If you are into vinyl and have stopped collecting CDs, you’ll still have to buy the deluxe CD-edition for the two Blu-ray (or DVD) discs with the 50 videos, all presented in state of the art surround sound. I promise, it’s worth it. The Beatles were pioneers of rock‘n’roll-videos too, inventing MTV 16 years before it was launched. 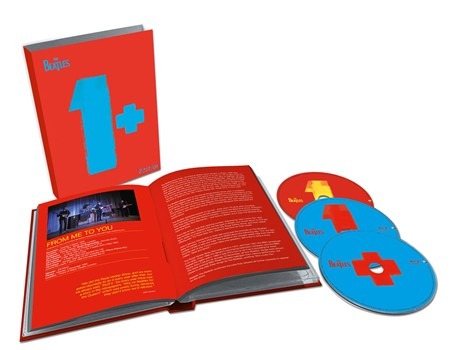 As the 2nd Blu-Ray/DVD can’t be bought separately (it includes “Rain”, “Strawberry Fields Forever”, “A Day In The Life”, “Hey Bulldog”, “Revolution”, “Don’t Let Me Down” as well as the hugely successful “Free As A Bird” and “Real Love” videos from the “Anthology” series), just fork out for it. As for the audio, it’s a revelation. It’s been carved in stone that the original Beatles mixes were not to be meddled with. The only exceptions (apart from George Martin’s strange stereo remixes of “Help!” and “Rubber Soul” when preparing those albums for CD back in 1987) being the soundtrack of the “Yellow Submarine” movie that had to be fully remixed for the DVD release in 1999 (creating a brand new soundtrack-album, “Yellow Submarine Songtrack”, supposed to replace the original soundtrack from 1969) and the Cirque du Soleil’s “Love” project in 2006. When all the original Beatles-albums were re-mastered and re-launched on CD in 2009 (and on vinyl in 2012 and 2014), Apple/EMI stuck to the original mixes again. But not this time. 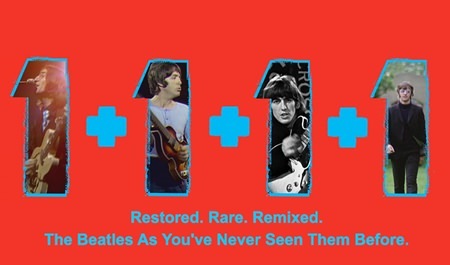 For the new edition of “1” Giles Martin and Sam Okell went back to the original multi-track tapes and remixed every song, with three exceptions, in stereo (the exceptions being “Love Me Do”, “From Me To You” and “She Loves You”, all remixed in mono). They’ve taken extreme care not to alter the overall feel of the recordings, there’s nothing here you don’t recognise, but they have given the songs a new clarity, depth and punch, the stereo separation and sound-balance is improved, there’s more space, more details. The angelic harmony vocals in “Let It Be”, the bass and punch of “Paperback Writer”, the hammering pianos in the “Penny Lane” intro, the beautiful and warm clarity of “Yesterday”, the widescreen sound effects of “Yellow Submarine”, the three dimensional strings in “Eleanor Rigby’, the crisp acoustic guitars in “Help!”, the guitar attack in “I Feel Fine” and “Ticket To Ride”, the wonderful vocal harmonies that grace most of the songs. It’s an overwhelming experience, a real treat. There’s actually another song missing as well. “The Long And Winding Road” topped the US charts for two weeks and is of course included, but the compilers have ignored the fact that it was not alone up there as it was registered as a double A-side with “For You Blue”. Take a look at the old chart, it’s there for all to see. So actually, “1” should have been a 29 track compilation. We’ve been robbed for two bona fide no. 1’s. Heads should roll! 1st Blu-ray/DVD contains the videos to all the 27 tracks mentioned above in 5.1 mixes. 2nd Blu-ray/DVD contains these videos in 5.1 mixes: Twist And Shout/Baby It’s You/Words Of Love/Please Please Me/I Feel Fine/Day Tripper/Day Tripper/We Can Work It Out/Paperback Writer/Rain/Rain/Strawberry Fields Forever Within You Without You & Tomorrow Never Knows/A Day In The Life/Hello, Goodbye/Hello, Goodbye /Hey Bulldog/Hey Jude/Revolution/Get Back/Don’t Let Me Down/Free As A Bird/ Real Love.